Here’s a closer look at our education and advocacy activities during the past three months. Supervisors Authorize $1 million for Farm Worker Housing: As a follow-up to our HFW! 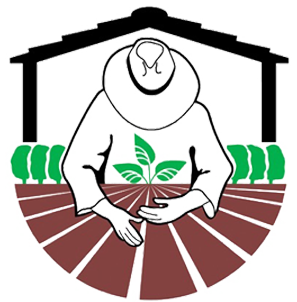 Summit event in March of 2015, the Board of Supervisors unanimously approved a one-time $1 million budget allocation to farm worker housing. On February 23, 2016, the BOS approved funding to go to three projects. The first is a project in Oxnard, developed by Cabrillo Economic Development Corporation. The other two projects are in Ventura and will be developed by the Housing Authority of the City of San Buenaventura. The funding from the Board of Supervisors is an opportunity for these projects to be more competitive as they apply for and leverage other funding. Collectively, the three projects will provide 106 new farm worker housing units. “If we want our farm worker housing applications to be as competitive as possible […] it is just essential that we play a role and step up and be a part of this kind of funding.” –Supervisor Steve Bennett at the meeting. House Farm Workers! is appreciative of the Board of Supervisors’ commitment to making sure our farm workers have a safe and decent place to call home. HFW! Young Advocates Committee has Launched! : The Young Advocates had their first official meeting in January. Through social gatherings, storytelling and community engagement, the Young Advocates Committee encourages young people to become advocates for farm worker housing. If you are a young person who wants to get involved and make a difference in the lives of farm worker families, join us! The Young Advocates meet monthly. Contact our program coordinator for meeting dates and times at housefarmworkers@verizon.net. We have recently made efforts to show our film at local high schools and universities, as a way to inform a broader audience and engage more young adults in farm worker advocacy. Thanks to La Reina High School in Thousand Oaks and the CSUCI Chicana/o Studies program for showing our film to your students! Interested in showing the film to your community group? Contact us! Chino’s Market. At Chino’s, they could charge their purchases of groceries and goods, and Chino’s would deliver their purchases to them at Limoneira. They paid their accounts once a month. After 20 years as a picker, Jose retired from Limoneira. He continued working another 12 years for Vega Labor as a contractor. Now 81 and retired, Jose lives alone and takes pride in cooking for himself, and coming and going as he pleases. His wife died nine years ago, and in 2012 he moved to Rodney Fernandez Gardens, where he keeps his sparsely furnished apartment whistle clean. He is grateful for Social Security, which provides him enough money for food and necessities. Jose knows how to make a little money go a long way by foregoing extra purchases, such as a dining room table.